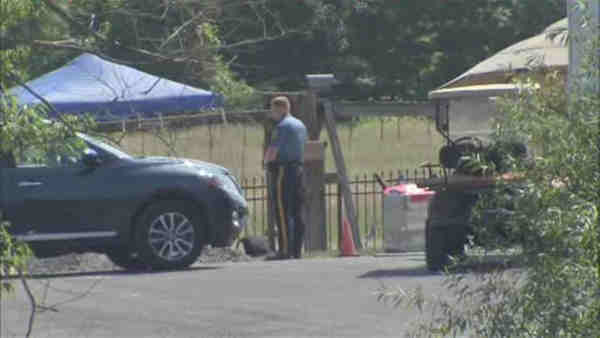 MANTUA -- Police are investigating the tragic death of a young teenager who was found unresponsive Saturday morning at a sleepover in Gloucester County, New Jersey. According to authorities, the 14-year-old girl was with a girl's soccer team at a sleepover in Mantua on Saturday when she was found unresponsive in a tent. The homeowners called 911, and arriving paramedics pronounced the girl dead at the scene. The girl's soccer team, Eastern Girls Soccer, posted a tweet Saturday identifying her as Eastern Regional High School freshman Kara Lemanowicz. The tweet reads: "EGS lost one of our own this morning in Freshman Kara Lemanowicz. She went to sleep with a smile and among friends. RIP. We play for you." EGS lost one of our own this morning in Freshman Kara Lemanowicz. She went to sleep with a smile and among friends. RIP. We play for you. The Gloucester County Prosecutor's Office have ruled out foul play, and say no alcohol and/or drug use is suspected. At this time authorities believe a possible medical condition may have led to the girl's death. According to Eastern High's Athletic Department, a candlelight vigil in remembrance of Kara Lemanowicz is scheduled for 8 p.m. Saturday at Giangiulio Turf Field.